Running a full 3d game in a browser window is now possible, thanks to HTML5 and the new WebGL standard. 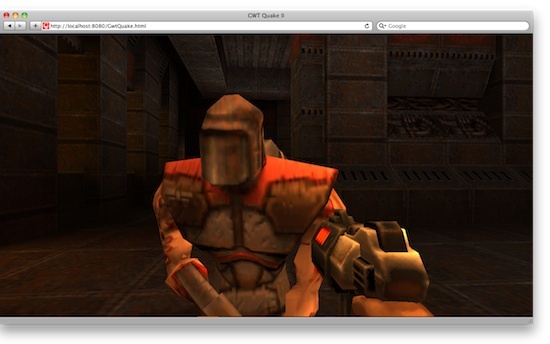 A few Google employes have ported Quake2 to WebGL. I could get it up and running on the last Webkit nightly only, the graphics were flashing all the time and strafing is impossible because the alt-left key is mapped to ‘back’ in the browser, but it’s a nice experiment nonetheless.